Is there something that can be described as the “online culture?” I don’t think so, but I do think that technology is structuring the way we think and interact and I do think that there are cultural norms broadly perpetuated and upheld. Online culture, although diverse, still maintains persistent themes. In describing how this first “internet generation” has grown up, Tapscott (2011) identified eight norms or “distinctive attitudinal and behavioral characteristics that differentiate this generation from their babyboom parents and other generations” (Kindle Locations 1957-1958). These themes included: freedom, customization, scrutiny, integrity, collaboration, entertainment, speed, and innovation. Many of these generational themes align with the values of Internet culture in general. In particular, there are two concepts that help one understand the evolution of this culture and the actions it privileges. These concepts are content and contact. Content was the driving force of Web 1.0. As the Internet expanded there was a drive to produce more and more digital content and to free it from its physical constraints. One of the defining characteristics of the Internet is free and open access to information. By being free and open, the information requires no cost to consume, is readily available in multiple formats, and can be used without fear of restrictions such as copyright and trademark. As the Web has evolved there have been numerous projects to bolster this culture of free and open access to information. In 1994, Tim Berners-Lee founded the World Wide Web Consortium (W3C, n.d.) as an organization dedicated to ensuring open interoperable standards across the Web. Creative Commons (n.d.) was developed in 2001 as a means of creating a more flexible copyright system that allowed for the liberal sharing and reuse of online content. In 2004, Google (2004) undertook an ambitious project to digitize the libraries of some of the world’s most prominent universities and make them available (albeit with some restrictions) to anyone on the Internet. Under Web 1.0, open access to content was king. In addition to content, Web 2.0 has begun to privilege contact, or participatory culture online. Web 2.0 technologies, as mentioned previously, are about ideologies that liberate individuals to be able to add to, change and remix information in community. These new methods of using information were previously unavailable when resources were scarce and experts curated these processes (Buckingham, 2003; Burnett & Merchant, 2011; Jenkins et al., 2006). Under Web 2.0 the connected user is just as important, if not more important, than the content itself. It is information being emancipated by the online masses. The adoption of this ideology has also been hastened by the use of mobile technologies, particularly the smartphone. 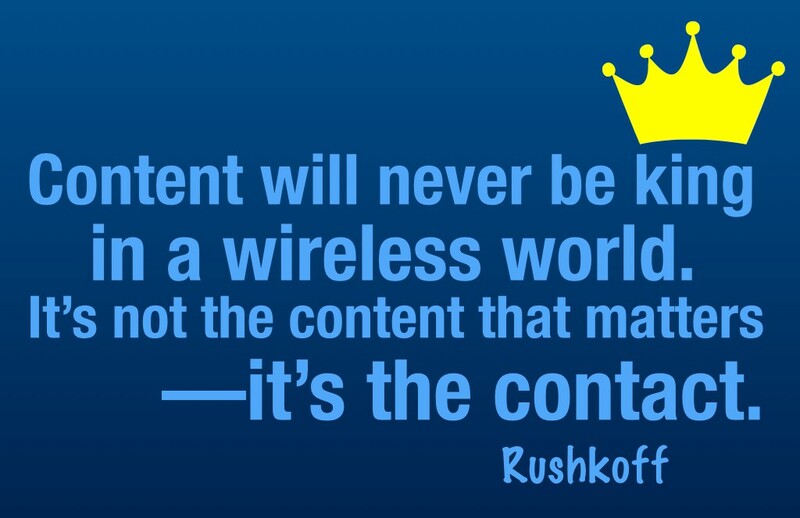 As Rushkoff (2011) concludes, “Content will never be king in a wireless world. It’s not the content that matters—it’s the contact” (Kindle Location 1900). The rapid rise of social media is the perfect exemplar of this new participatory culture. Social media allows users to connect information and people in new ways. Facebook introduced the notion of the “social graph” in 2007 at its f8 Developers Conference (Facebook, 2007). This new concept took the previously closed social network of Facebook and opened it up to be integrated into the entire Web. Facebook was no longer just a smart address book, but an entire database of connections, preferences and likes. When one visits a contemporary Web 2.0 enabled website, you encounter a proliferation of icons that invite you to “like this,” “tag that,” or “tweet to your network.” The proliferation of these links is creating a database-backed web. This database-backed web is increasingly connecting people and information in new ways. 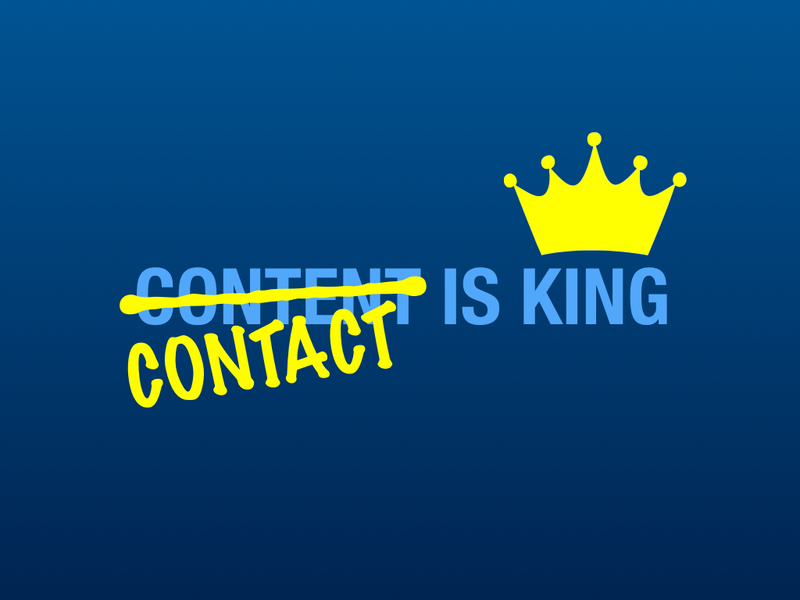 The new king of the Web is now the contact. It is the number of people you have in your network, the influence of that network, and how, when aggregated, we can teach the machine new ways of connecting ideas. Are you engaging in “contact” culture online? Are you a passive consumer or active connector? Are you using all the power available to you online? Buckingham, D. (2003). Media education: Literacy, learning and contemporary culture. Cambridge, England: Polity. Burnett, C., & Mechant, G. (2011, May). Is there a space for critical literacy in the context of social media. English Teaching: Practice and Critique, 10(1), 41-57. Rushkoff, D. (2011). Social currency In M. Bauerlein (Ed. ), The digital divide: Arguments for and against Facebook, Google, texting and the age of social networking (Kindle Locations 1896-1930). New York, NY: Penguin Group. Tapscott, D. (2011). The eight net gen norms In M. Bauerlein (Ed. ), The digital divide: Arguments for and against Facebook, Google, texting and the age of social networking (Kindle Locations 1931-2383). New York, NY: Penguin Group.